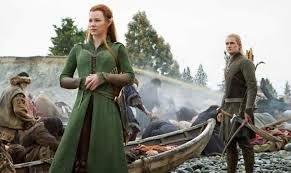 IMDB Storyline: After the Dragon (Voiced by Benedict Cumberbatch) leaves the castle, the people of lake town see a threat coming, the orcs, dwarves, elves, and man prepare for war. 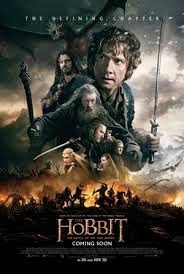 Bilbo (Martin Freeman) sees Thorin (Richard Armitage) going mad and tries helping everyone. Meanwhile, Gandalf (Ian McKellen) still needs to break out of the orc prison. My Thoughts: This is the Hobbit movie you are looking for. There is action and destruction from the beginning. There were moments that my mind did wander but for the most part the movie was action packed and had some great sequences. As always Legolas had to show off his awesome Elven ways. There was a moment when he appeared to be floating through the sky on falling rubble that made you shake your head in disbelief. My Favorite moment in the movie was when Gandalf was saved by Galadriel (Cate Blanchett), Saruman (Christopher Lee), and Elrond (Hugo Weaving). Galadriel shows how truly powerful she is. Check out that part in the movie. There are some differences from the book but overall you still have the overall story of the Hobbit occurring. I truly enjoyed the battle of the five armies and it's name was well and truly expressed in the movie. The last huge fight sequence was awesome. 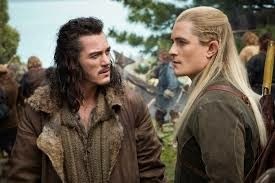 Bard (Luke Evans) rallying Man to defeat the Orcs, Oakenshield stepping up to lead his people, Legolas (Orlando Bloom) and Tauriel (Evangeline Lilly) being the most awesome Elves ever, Orcs being Orcs, and Radagast The Brown leading his crew. I am sure we all noted the heavy handed foreshadowing for LOTR. Overall it was a fun movie. What did you think about it? 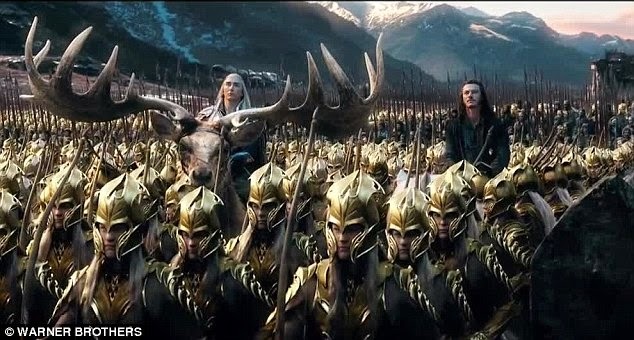 S/N I think Thranduil (Lee Pace) riding on the elk with the extra large antlers was compensating for something, IJS. 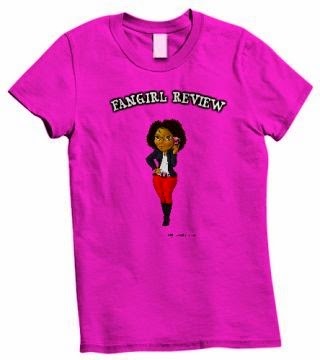 The movie is 2 hours and 24 minutes so be prepared. I thought it was fun. I had a few problems with it but not enough that made it a bad film. I thought that it was a solid Matinee. Whenever we hear about a new movie, you always wonder what it is all about and if it was carefully done. 123movies website make available for you to view these trailers coming soon. When it has to do with TV Shows, you're able to even find 1080p channels continue that appear incredibly crisp and clear. If you've not seen any of these helicopter battle games then here's a quick overview.